Where there is a curtain, there is also a stage. At long last, Nintendo appears to be issuing the white smoke with regards to their new platform, the NX. Announced this evening, Nintendo is promising that tomorrow, October 20th at 7am PDT, the first preview trailer, the preliminary information, and the first public information about the NX will be released. (It's coming via Nintendo.com). Nintendo has used the word "glimpse" as a descriptive noun for this first NX tidbit. 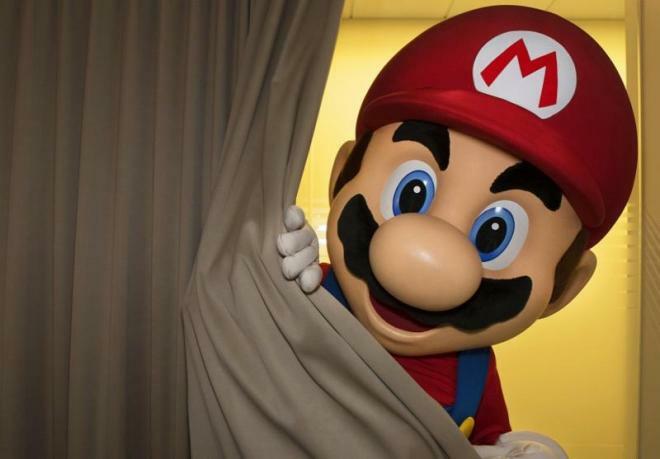 And yes, ahead of this trailer, is the above image of Mario peeking around the curtain.